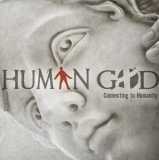 Prior to their recent, very commendable and ambitious Dead Water EP, Finland’s Humangod debuted in the public consciousness in 2009 with the Connecting to Humanity EP. Compared to the two-10-minute-epics grandiosity of Dead Water, this doozy is much more “traditional” or should we just say straightforward within the frames of progressive metal. A tad under 7 minutes is the longest that a single tunes reaches out to. The soaring melodies and layered vocals very quickly recall 90s Dream Theater. The same vibes are also prevalent in the flashy runs that the instruments occasionally pull in unison with quirky rhythmic jaunts and speedy runs of notes for all the prog lovers. Evading The Fate gives a soft landing to the proceedings with a swaying mid-tempo churn that mixes mellow interludes and towering choruses very nicely. Neon Painted Nightmare, my definite favourite on here, picks up the pace nicely and even provides some funkaliciously groovy moments in the middle among the swirly keyboards and pummeling guitars. Excellent form with the drum work as well. The aforementioned rhythmics are especially tasty and catchy on this one. The trio of songs is rounded out by Quest For Hope, which does provide a very nice, emoting guitar solo amidst the more laid-back composition but overall is the most mediocre tune of the three. Not bad at all but one that just feels like going through the motions. All in all, if this promo had been my first taste of Humangod, I would’ve been considerably impressed and I think that the follow-up Dead Water would’ve felt like an even bigger leap of progression in their chosen style. As things are, this is a cool and interesting starting step to observe in comparison to the nigh-mindblowing level of Dead Water. Both discs are naturally recommended, especially for fans of melodic prog.